Experimental metal bands like Periphery will (hopefully) never settle for sticking to one particular groove. Constantly innovating, this adds to “Juggernaut”, jumping off from that platform and diving into dark, unexplored depths. Music should surprise and inspire, and “Periphery III: Select Difficulty” does both with eye-opening results. Just watch out for unexpected face-melting, okay? Djent is becoming such a massive subgenre of metal that I firmly believe that there will be three-year degree courses offered in many universities around the country before long. One of the bands that have been at the forefront of this movement is Periphery: their sound, their scope, their technical prowess are all required classes in Camp Djent. Papa Meshuggah should be proud of the brood they helped influence. 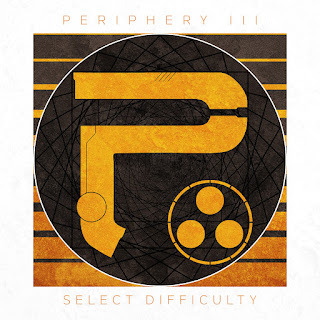 It’s a magical time to be a fan of the heavy, and, on July 22nd, Periphery’s fourth album “III: Select Difficulty” gets released through Sumerian Records/Century Media Records. This album retains that experimental feel that makes their sound always feel fresh and exciting. The downtuned sonic attack can pummel you at one moment, before softly cradling you the next. Take a listen to the massive anthem ‘Catch Fire’ if you want to go on a journey of crushing and caressing aural sensations. It’s probably the most open-sounding track on this album: a delicate prog metal track which is almost oxymoronic to say, yet it’s the only way to describe it that works. In any case, I found it a refreshing surprise on this album. Now, that’s enough of the light-heartedness; back to the heavy. And, boy does Periphery know how to do it. Their heavier tracks are layered like six feet worth of dirt on top of you: a crushing, inescapable, relentless mass surrounding you. Album opener ‘The Price is Wrong’ chops and yells, a barbarian’s fury given audio form; while ‘Marigold’ uses orchestration like a caged tide, rolling and swelling and crashing at the band’s command. My personal favourite of the album is a difficult choice to make… but I’m going to have to go with ‘Habitual Line Stepper’. 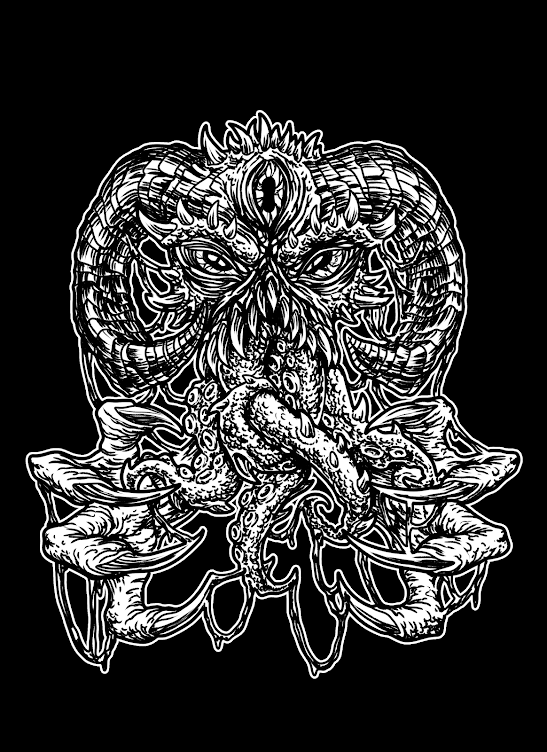 It’s near-seven minutes of expansive metal, journeying from skull-splitting to melodious, it weaves back and forth between these two elements with a craftsmanship that would make a master musician weep. Like their Djent brothers-in-arms Monuments, these guys know how to make songs that will push the boundaries of your perception of heaviness.